Product prices and availability are accurate as of 2019-04-06 07:08:41 EDT and are subject to change. Any price and availability information displayed on http://www.amazon.com/ at the time of purchase will apply to the purchase of this product. 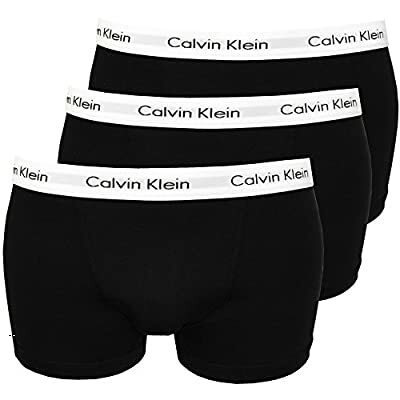 Boxer Trunks 3-Pack in Black with white contrast logo waistbands. Fabricated from a stretch cotton, these boxer trunks are cut in a more traditional shape offering a slightly higher waist and longer leg for a more comfortable fit. 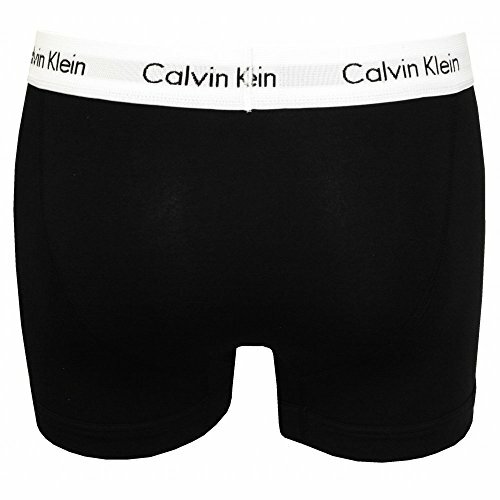 They feature an elasticised Calvin Klein logo waistband and a reinforced, moulded front pouch for added support.